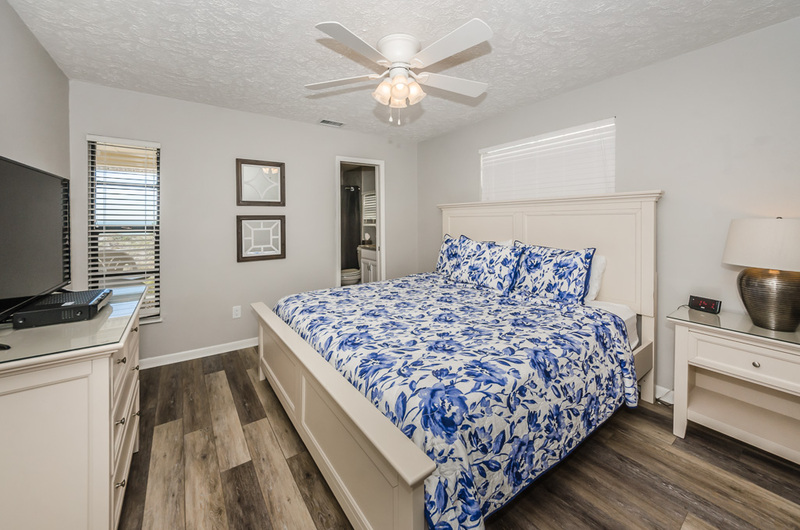 Master bedroom is a king sized bed on the ground floor with a ceiling fan. You can sit and view the ocean while watching cable tv from your bed. There is an adjoining master bathroom.